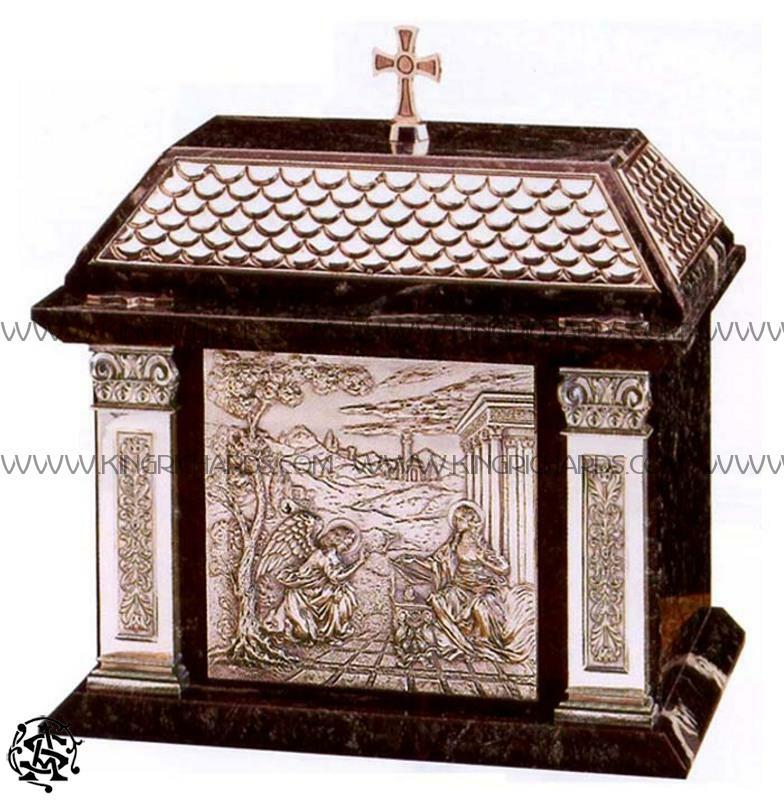 KRAS-157: Domed tabernacle, combining green marble and metal. 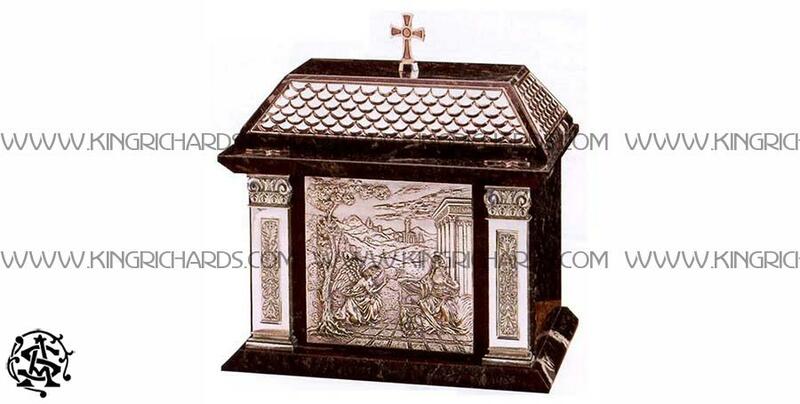 Available Brass or Silver Plate. Dimensions: 16 1/2 inches in height, 19 inches in width, 12 1/2 inches in depth. Single Door Opening: 8 1/2 inches High by 8 inches Wide.